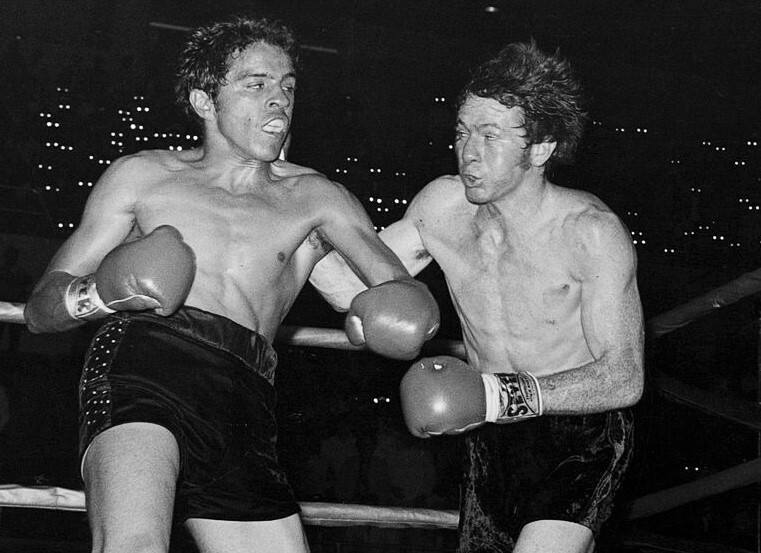 Bobby Chacon had been an overnight sensation in California, a hugely popular young fighter attracting big crowds to the Inglewood Forum and the Olympic Auditorium. 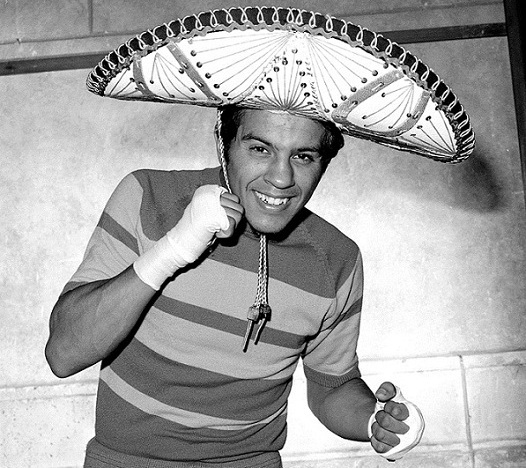 But as quickly as he raised hopes and attracted fans, he let them down, losing his first world title just three months after winning it when he was stopped by Mexican legend Ruben Olivares in June of ’75. 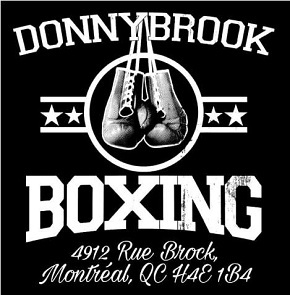 It had been a rocky ride ever since, as the fighter they called “The Schoolboy” struggled to get another chance at a world title. 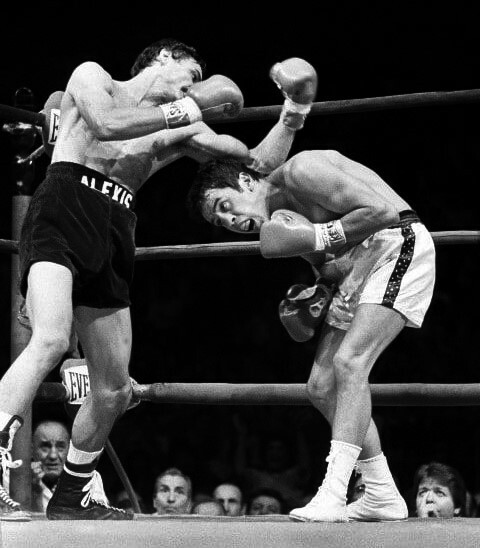 Despite a big non-title win over Olivares in August of ’77, losses to Rafael “Bazooka” Limon and Arturo Leon held him back. 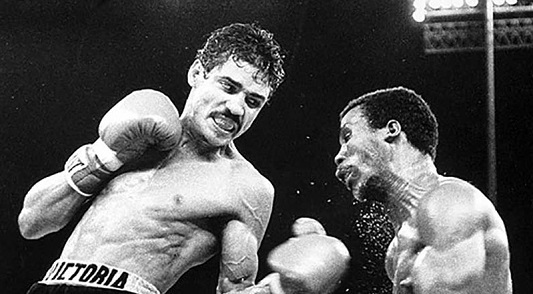 But he had earned this shot at Arguello’s WBC super featherweight championship by rebounding with five wins, and a big crowd set the turnstiles spinning at the Forum, everyone hoping to see Chacon get to the top of the mountain again. 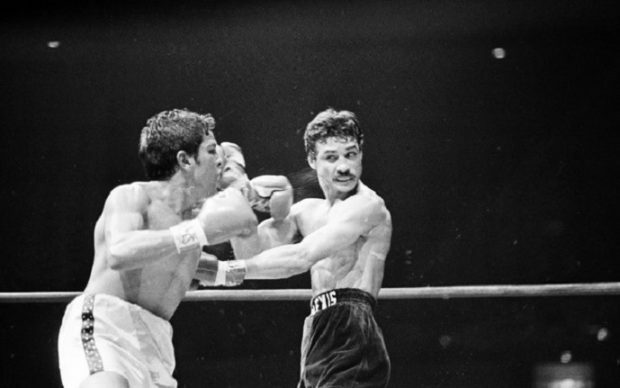 Arguello defeating Escalera in ’78. But for six rounds Chacon made fools of the odds-makers. Showing the courage and skills which had earned him such an enthusiastic following on the west coast, the challenger, despite being five inches shorter, boxed with authority, making the champion miss time and again, “The Schoolboy” countering with sharp right hands. Bobby sustained a cut over his right eye in the second round, but it didn’t appear to bother the challenger as he jousted with smooth efficiency, winning rounds with a sharp jab, the counter right, and solid body punches. The champion stalked Chacon and on occasion landed some heavy body shots of his own, but Arguello was consistently beaten to the punch. Chacon’s performance reminded ringsiders of his dominant knockout win back in ’74 over current featherweight champion Danny Lopez as “The Schoolboy” stuck to his game-plan and smartly refused to go toe-with-toe with the powerful Arguello, instead slipping the champion’s shots to land his own. The champion knew he was behind and his frustration became evident in round six when, uncharacteristically, he deliberately struck the challenger after the bell. The obvious foul brought a rain of boos from the pro-Chacon crowd. 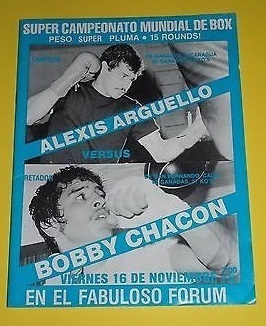 Peak Schoolboy: Chacon defeats future champ Danny Lopez in ’74. But everything changed in round seven, as it can when one faces a fighter with legit one-shot knockout power. A perfectly timed right uppercut sent Chacon staggering across the ring. He dropped to a crouch and took an eight count and action resumed Arguello pinned Bobby to the ropes and unleashed a furious barrage. Some punches landed, some missed, but the fusillade turned the cut from round two into a deep gash. Chacon was fighting back gallantly by the end of the round, but his face was covered in blood. Between rounds the ringside doctor ordered the fight stopped and it went into the books as a seventh round TKO. 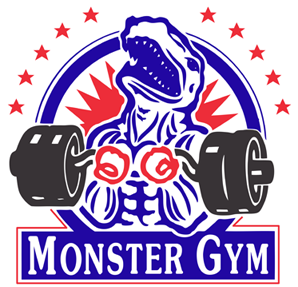 Talk of a rematch was drowned out by the louder talk of Arguello stepping up to the lightweight division and going after a third divisional world title. With Roberto Duran having recently departed the 135 pound division to pursue new glories in the welterweight class, most viewed Alexis as the heir apparent at lightweight. 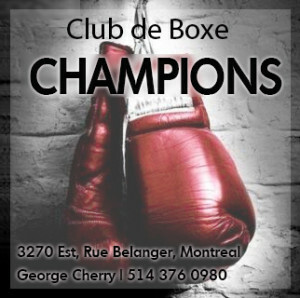 It had been decades since a fighter had won championships in three seperate weight classes, and at this point only five boxers in the entire history of the sport had done it: Bob Fitzsimmons, Tony Canzoneri, Barney Ross, Henry Armstrong and Emile Griffith.